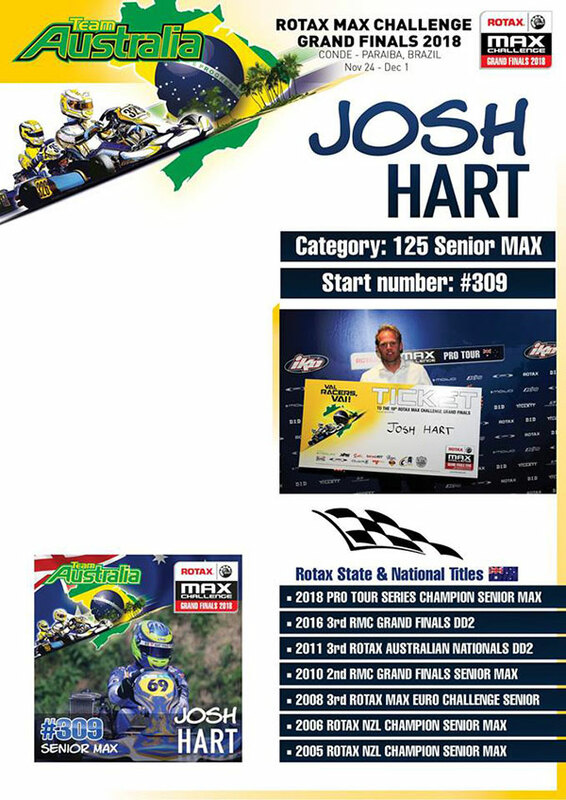 The Barossa Kart Club Champions for 2018 are below. Congratulations to all! 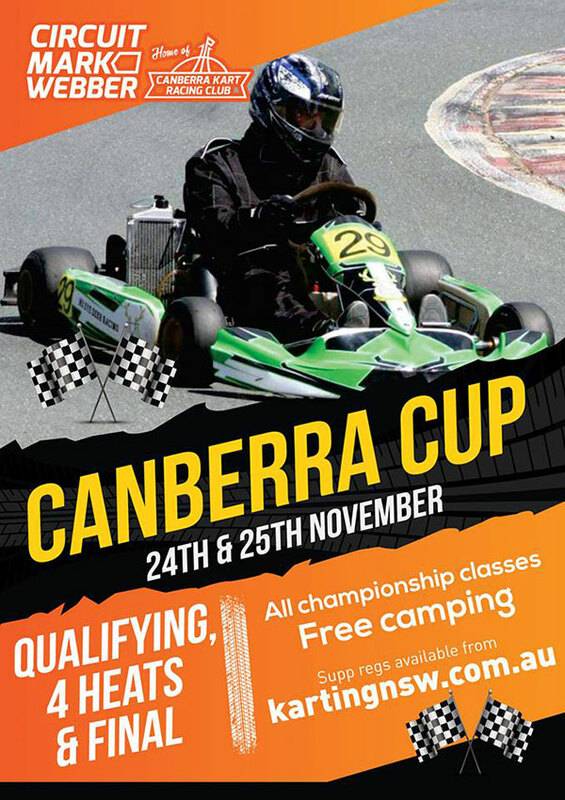 CANBERRA CUP – Qualifying, 4 x 15 lap heats and a 20 lap final means lots of laps this weekend for the final round of the club championship, the Canberra Cup. 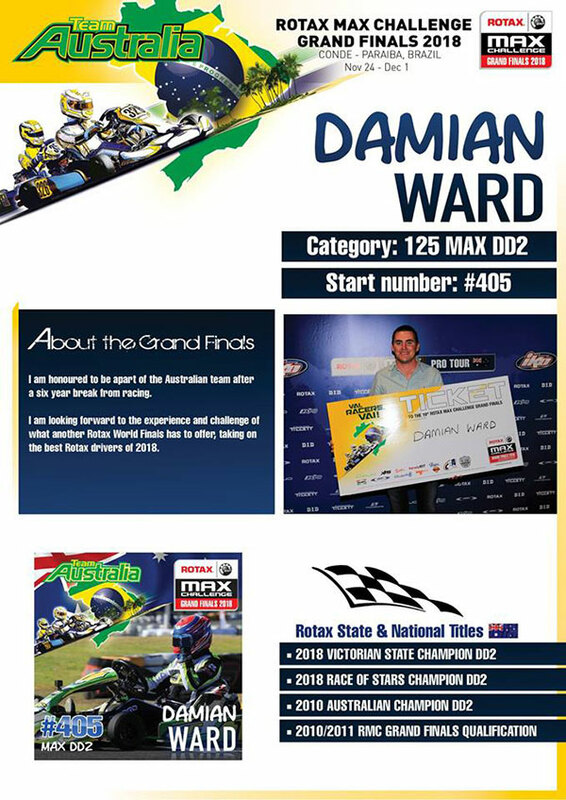 ORANGE TV – Watch WIN News’ coverage of the recent South Pacific Karting Title at Orange. KA3 Senior Light produced one of the races of the round, with Dubbo’s Beck Connell coming out on top. 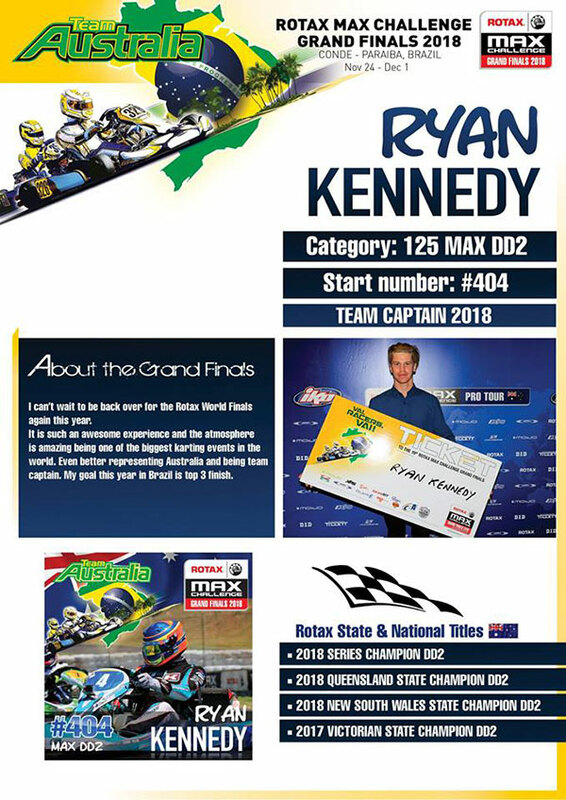 PANTA PETROL – RKA has announced a partnership with Panta Racing Fuel for its F100 and Pro Clubman series in 2019. 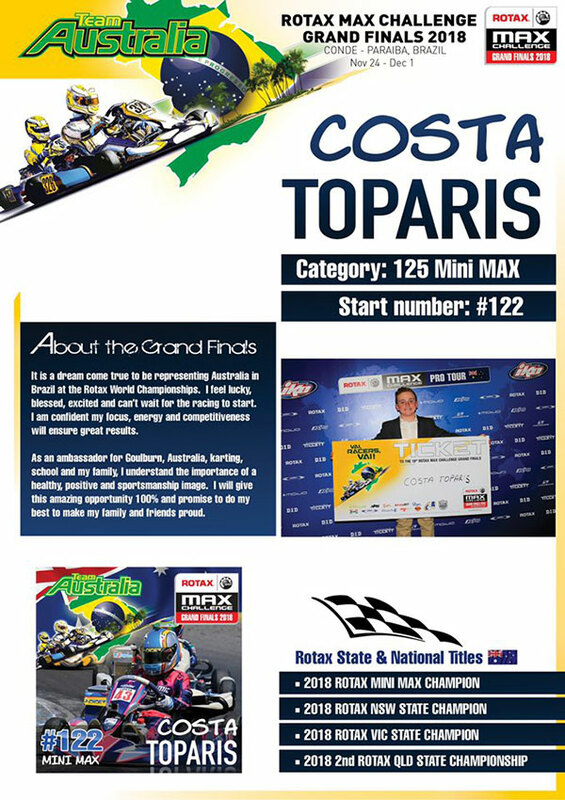 Panta will provide prizes for both retro classes at all four rounds, but they will be awarded in a different manner at each event, giving everyone a chance to win a 25-litre drum of Panta NS102. Panta Fuel Australia will officially launch its business and online platform next month. 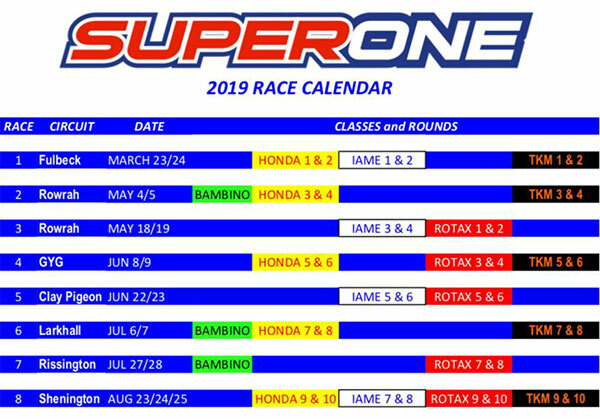 SUPER CALENDAR – The UK SUPER Super One series calendar for 2019. The series runs two ’rounds’ per event, but does not always run the same classes at each of the 8 events. 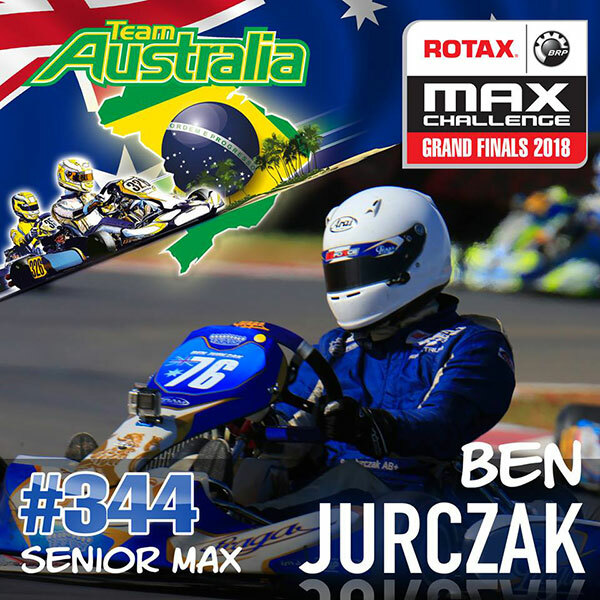 Showing dominance and speed all year and walking away second in the championship and securing himself a spot in Team Australia was Queenslands Ben Jurczak. It’s Ben’s first RMCGF appearance and you can bet Ben will give it his all. Good Luck Ben. 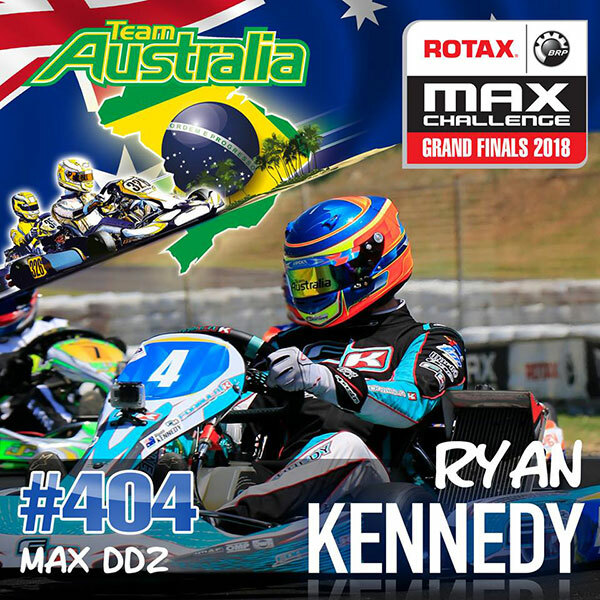 Introducing our 2018 Team Captain, Queensland’s DD2 Series Winner, Ryan Kennedy. 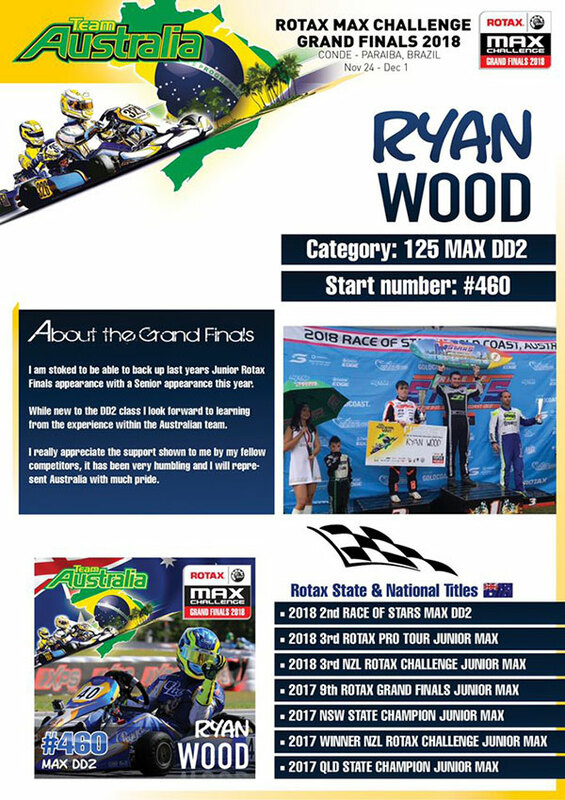 Not unfamiliar to the RMCGF, Ryan is looking to become World Number 1 when he hits the track in Brazil later this month. Good luck Ryan! 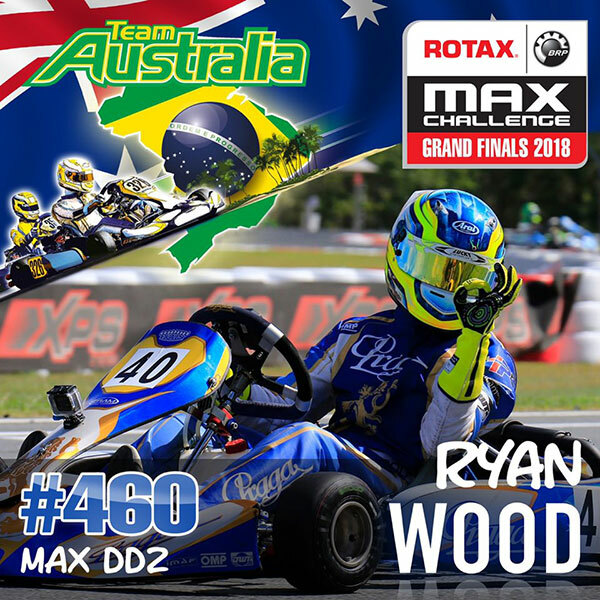 Competing in Junior Max at the Rotax Pro Tour, Kiwi Ryan Wood then made his seniors debut at the Gold Coast Race Of Stars in DD2 where after finishing an impressive second was awarded his RMCGF ticket. Good Luck Ryan! 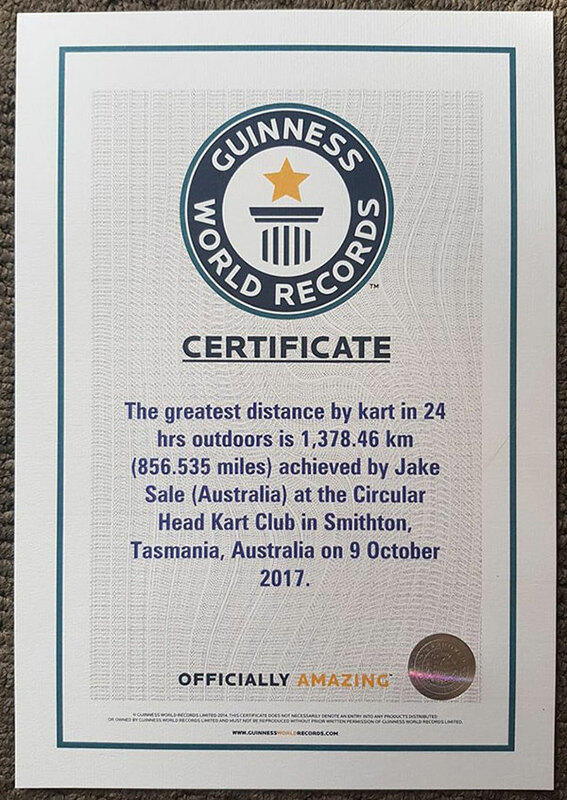 MORE KARTKRAFT – AI driver update. 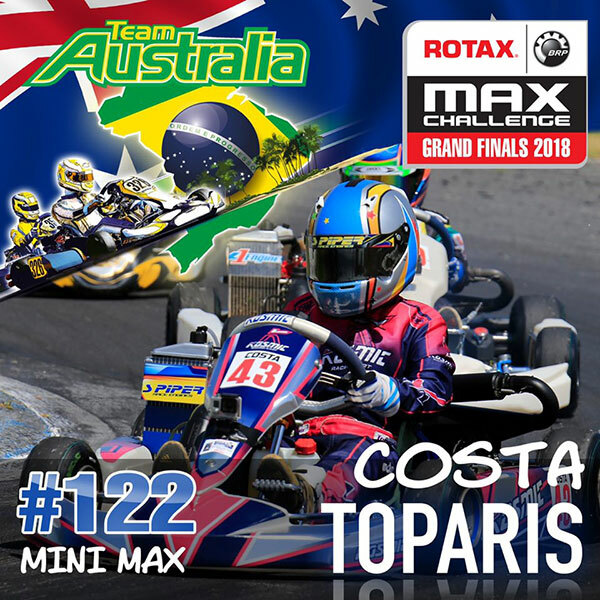 Costa Toparis dominated Mini Max this year, now he has his eyes on becoming World number 1. Good Luck Costa! 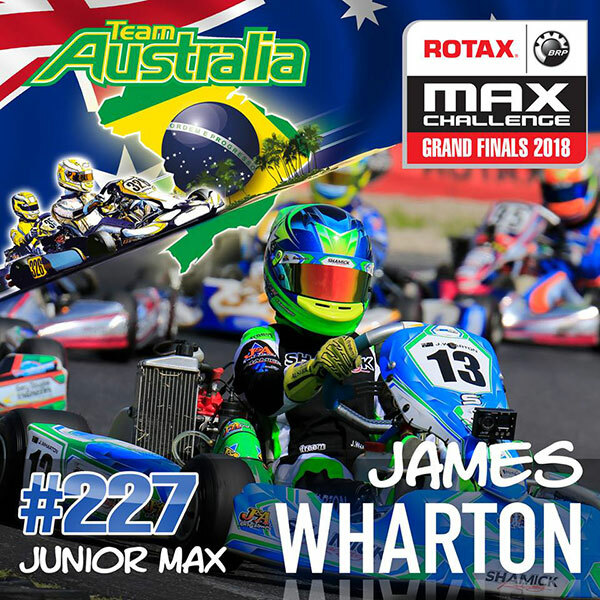 Making his third RMCGF appearance, but no stranger to racing on world class circuits, it’s Shamick Racing’s James Wharton. After earning his ticket over in Europe James is looking to better his third place podium with World Championship status. Good Luck James! 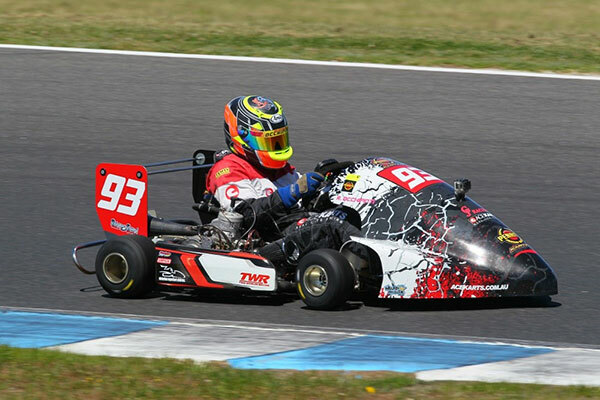 DRIVER PR – Russ Occhipinti finished 3rd in the 125-Open Gearbox Superkart State Title at Phillip Island last weekend. 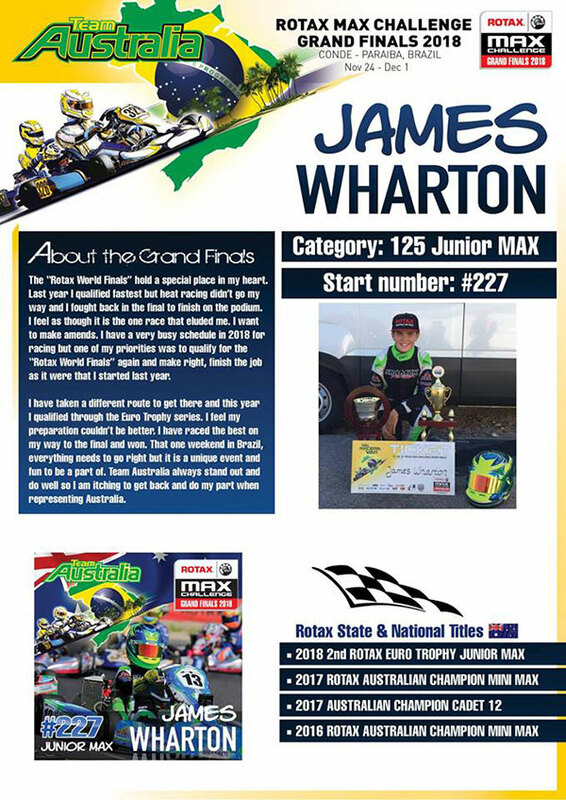 After missing qualifying due to an engine issue he steadily made progress with the kart setup and had strong pace by the end of the weekend. 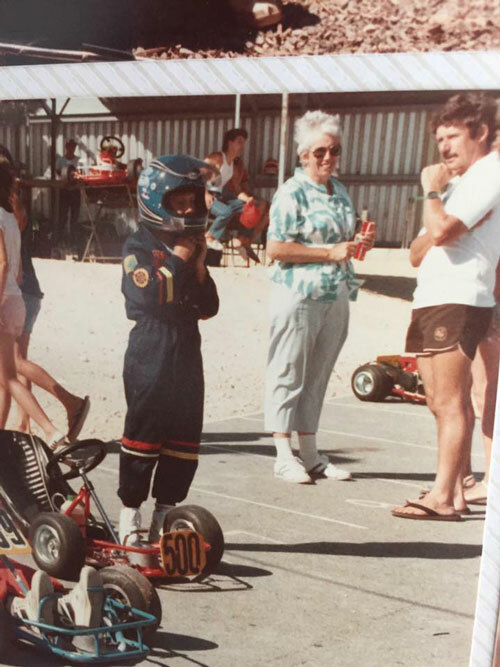 “Racing was tight all weekend with top class drivers entered. Still it was a good development weekend for the Ace Karts racing team and the Woodgate Evo chassis. 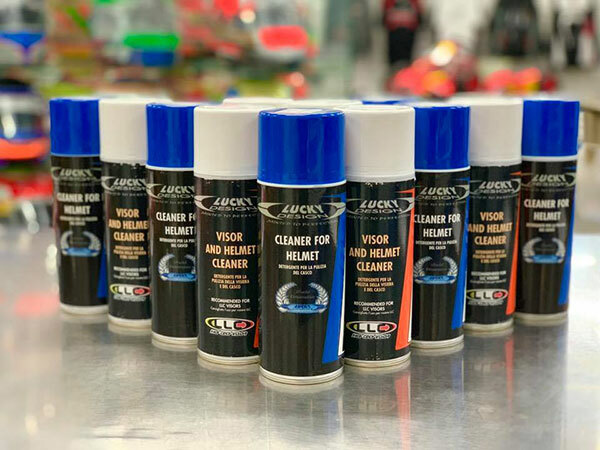 The team is looking to put all the knowledge gained during a limited 2018 program forward into 2019.” Russ would like to thank Ace Karts for sponsoring the team, Woodgate Racing, John Gonzalez, Penrite oil and the Victorian Superkart club. 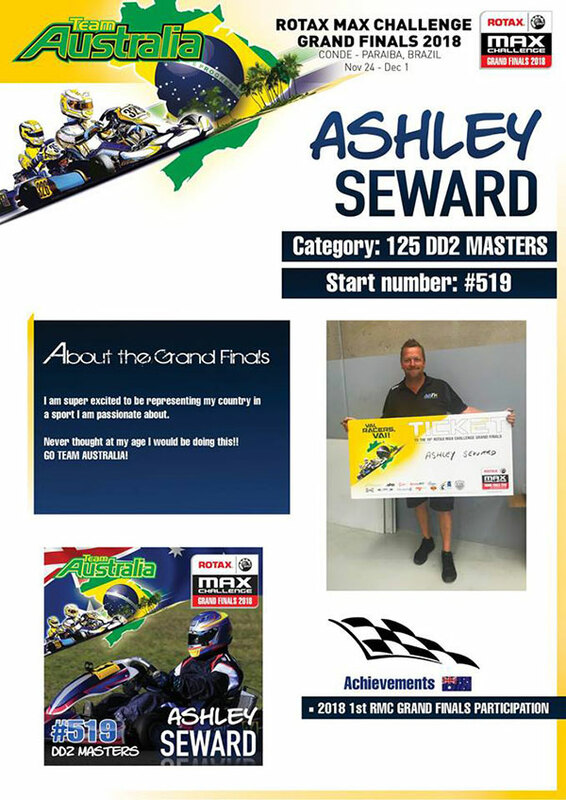 Making his debut at the RMCGF is Victorian Ashley Seward. 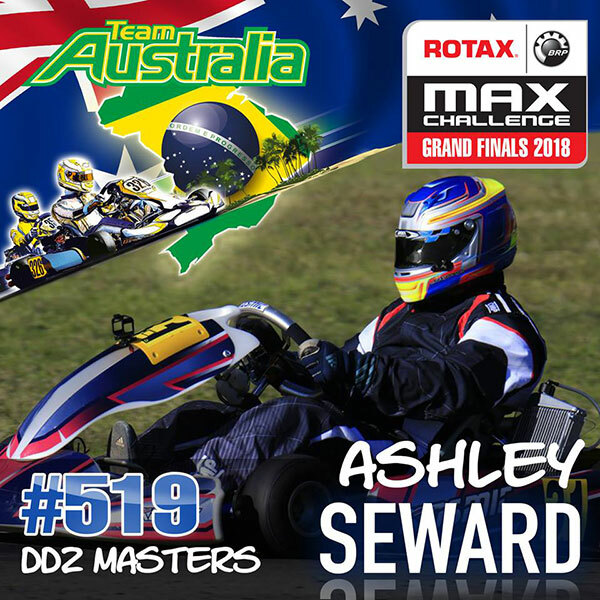 Ashley was consistent throughout 2018 and has earned himself an invitation to race at the World Finals among 360 other drivers! Good Luck Ash! Definitely no stranger to RMCGF scene is Queenslander Damian Ward. 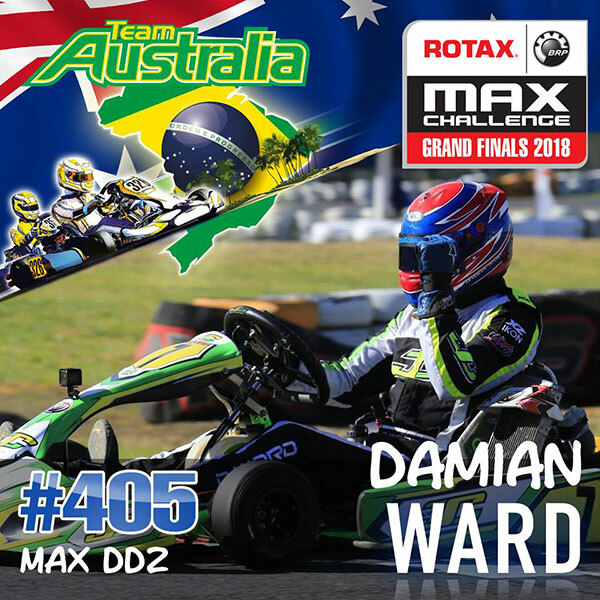 After making a comeback to the Rotax Pro Tour, Damian started strongly with a podium in the opening round and maintained his podiums throughout the year! Damian will be one to watch. Good Luck Damo! 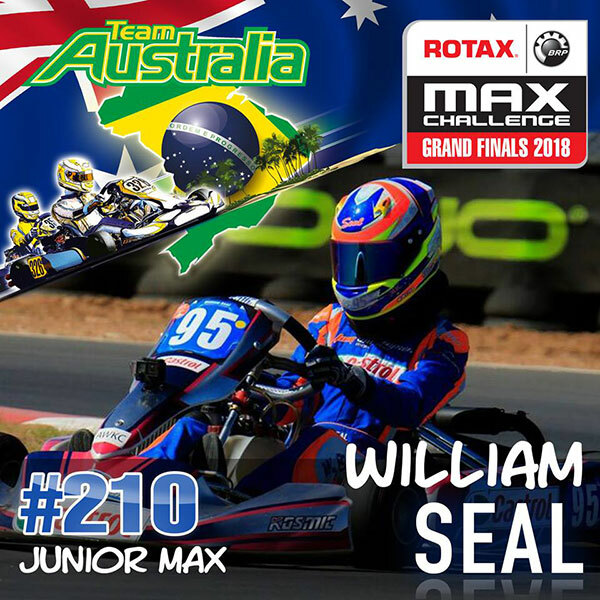 Having had quite the year in Junior Max it really came down to the wire at Tailem Bend, but William Seal came out with a ticket to the RMCGF in Brazil and its safe to say he cannot wait! 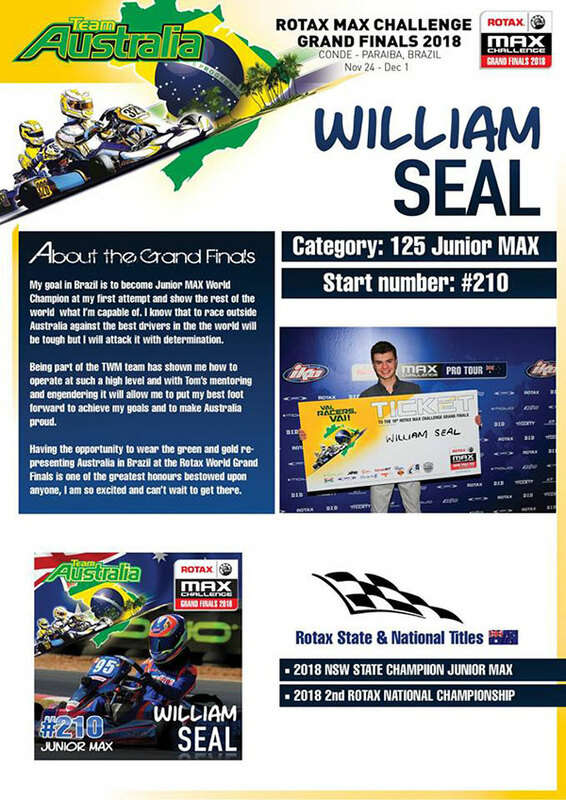 Good Luck William! 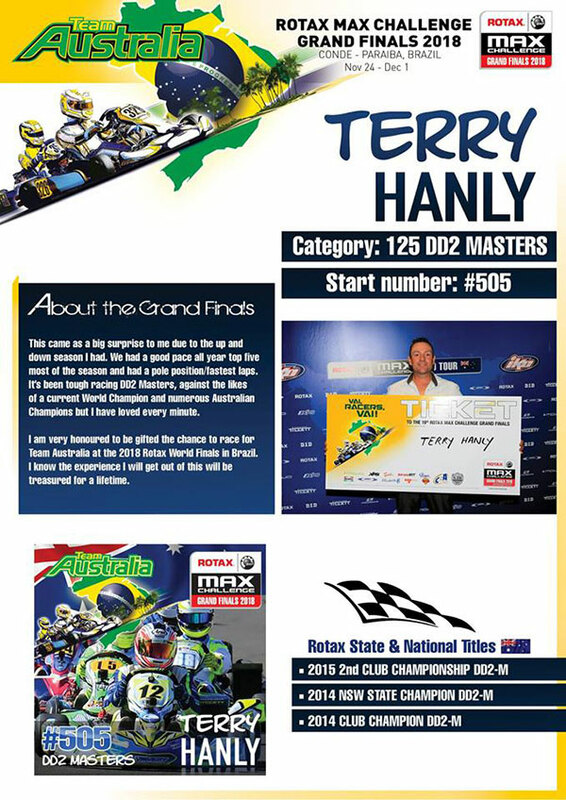 One of three DD2 Masters Team Australia representatives is New South Welshman Terry Hanly. Having shown his capabilities at Dubbo, where he poled the NSW State Title, Terry is very much looking forward to his first appearance at a RMCGF event. Good Luck Tezza! 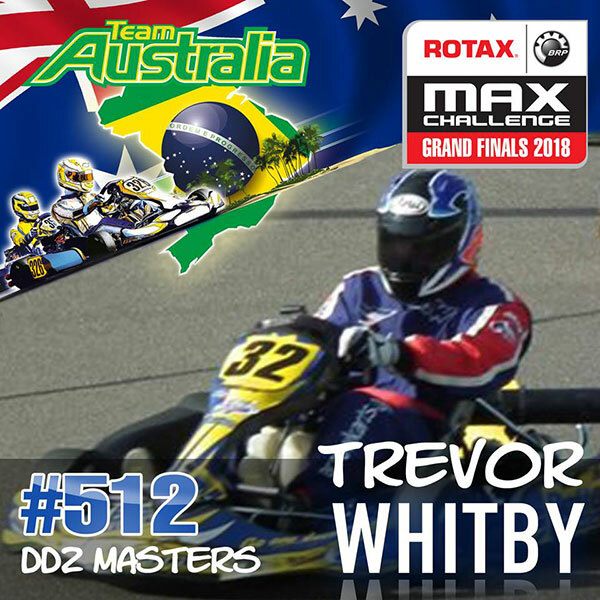 Trevor Whitby got the shock of a lifetime when he was announced as a member of Team Australia and the room erupted with excitement. 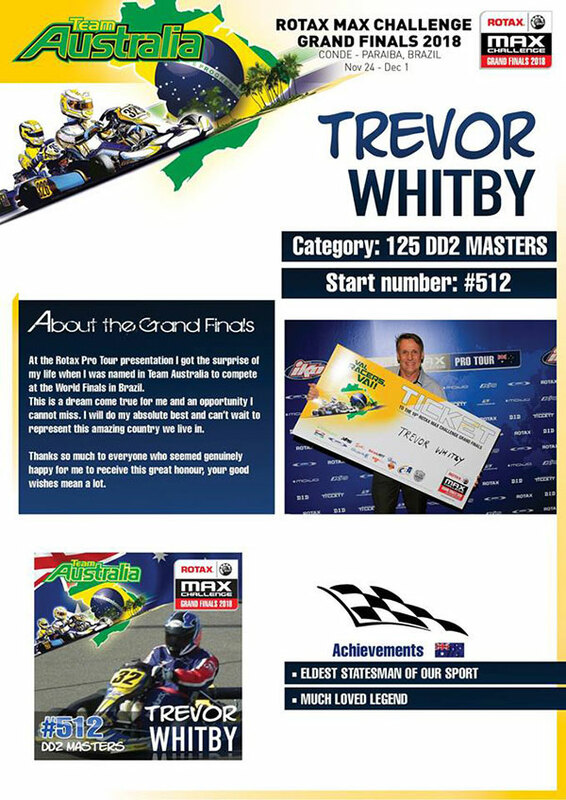 Trevor Whitby, we wish you good luck and hope you enjoy the experience at your first RMCGF! 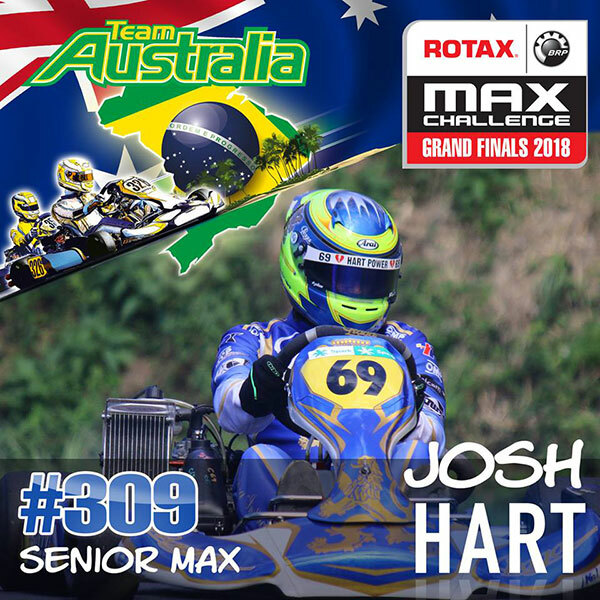 Josh Hart of NZ will be competing at the RMCGF for the first time as an Australian Team Driver. Having finished on the podium when representing his home country, let’s see if Josh can become World Number 1 in 2019! Good Luck Josh. 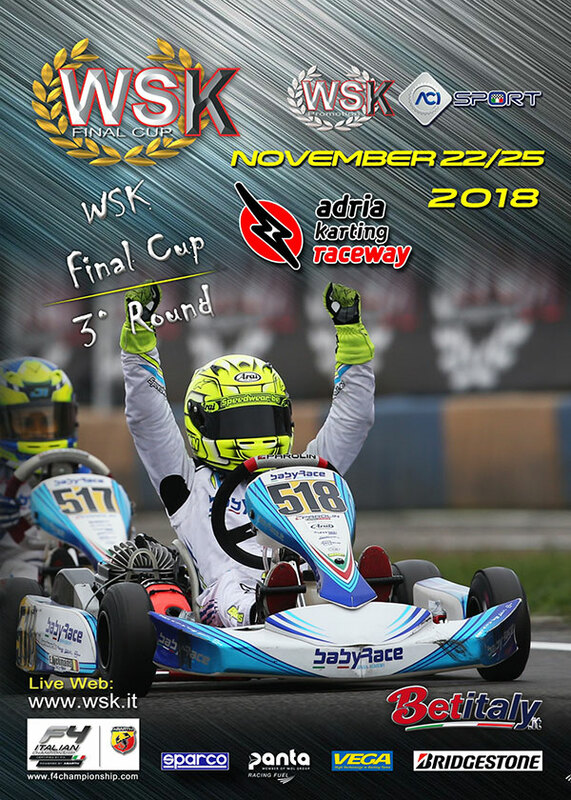 WSK THIS WEEKEND – The third and final round of the WSK Final Cup is this weekend at Adria Karting Raceway. 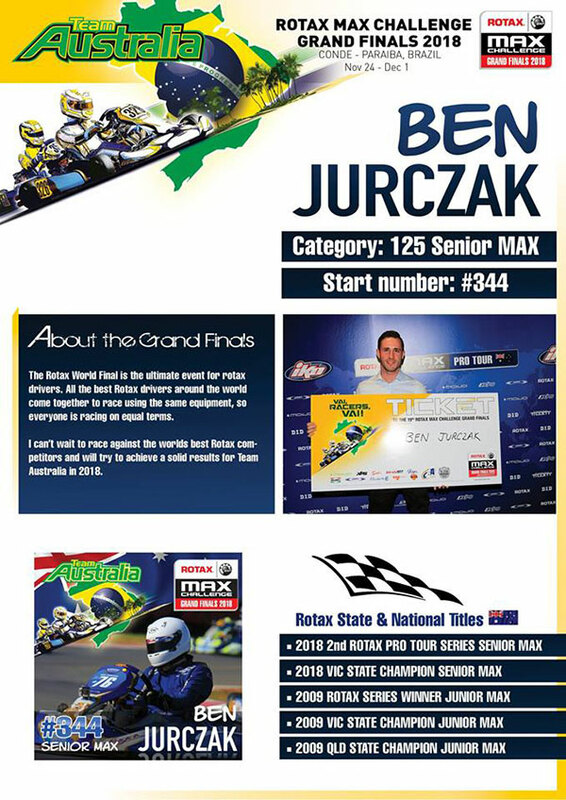 Follow the event via live timing & live stream on the WSK website HERE. 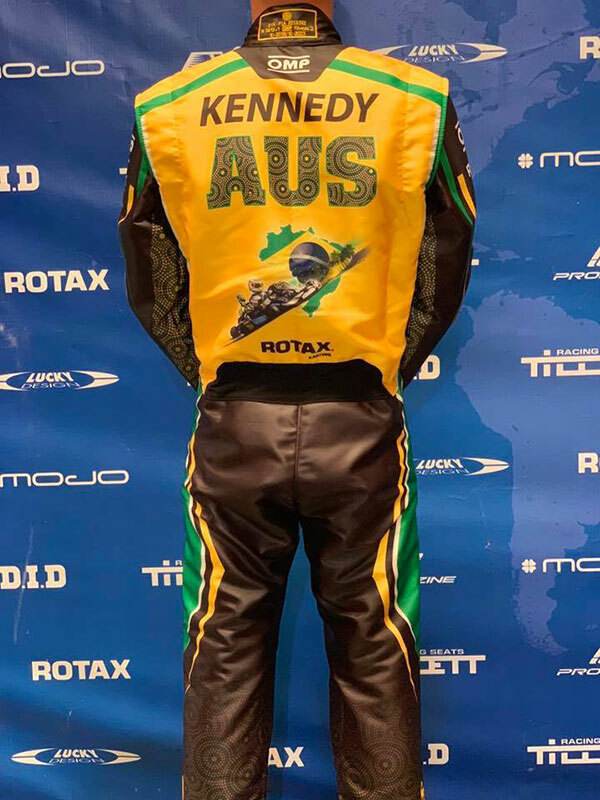 TEAM OZ SUITS – Here’s the look Team Australia will wear at the RMCGF in Brazil. 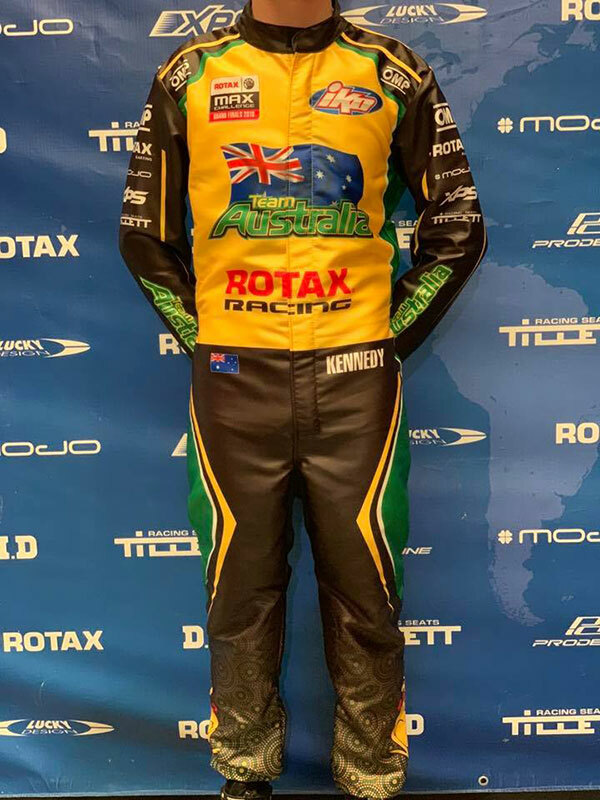 Made by OMP, the race suits incorporate the Australian flag, traditional Aussie green & gold plus incorporation of an indigenous element to the design.